Virtual views have never looked better on your screen. 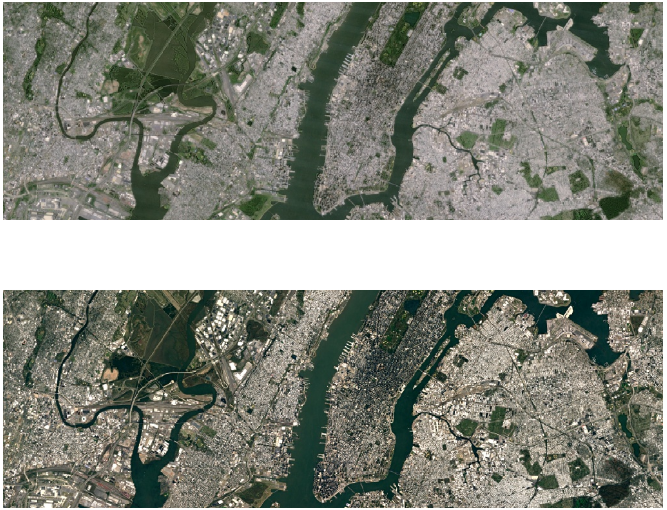 Every few months or so, Google improves the satellite imagery on services like Earth and Maps. Now, as part of its efforts to keep making the experience better for users, the search giant is going to offer higher-resolution virtual views going forward. You'll now notice sharper imagery of areas around the world, thanks to the latest data from the Landsat 8 satellite and "new processing techniques" that Google's implementing. Based on one of the examples from the company (pictured below), you're able to tell the difference right away. Everything is less blurry from afar. You can see more places for yourself on Google Earth, or by checking out the satellite option on Google Maps. A satellite image of New York City on Google Earth. Before (above) and after (below) the update.